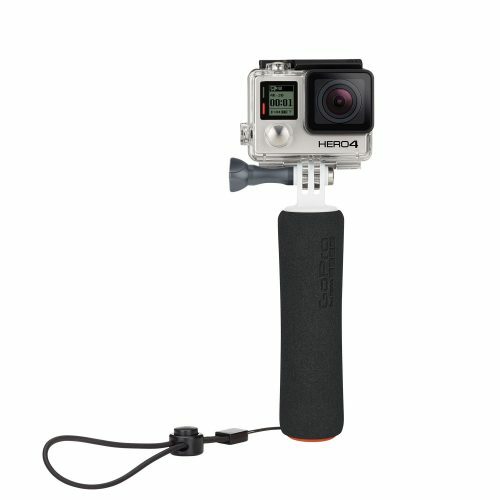 I have been asked several questions about which GoPro stick one should buy if interested. 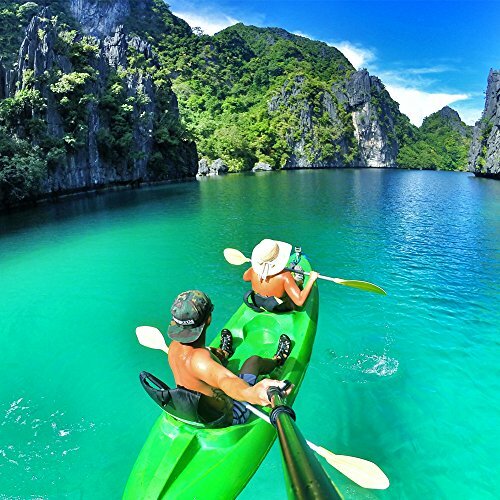 Meanwhile, I decided to purchase a few in order to test them out and give you all an unbiased review of 10 of the most coveted & best GoPro sticks on the market today. To get to the main aim of writing, I can’t provide a definite answer. This is because, what you’re going to buy ultimately depends on your budget, what you’re using it for and what conditions you will be in the majority of the time. As such, I did a detailed review of each to give you a feel of what you’re looking for. 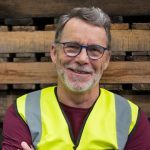 Read on as these few paragraphs will help you get your money’s worth when buying time comes to order. 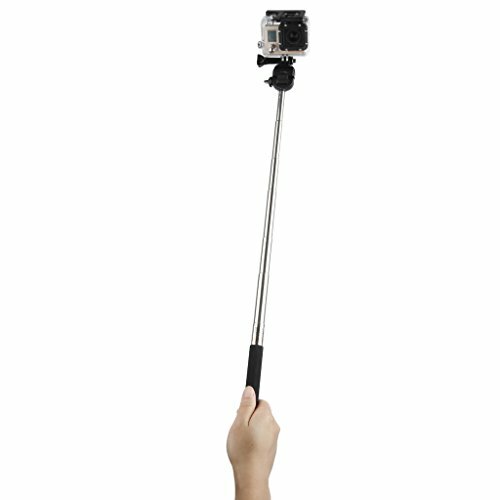 To begin with, this is a GoPro selfie stick. 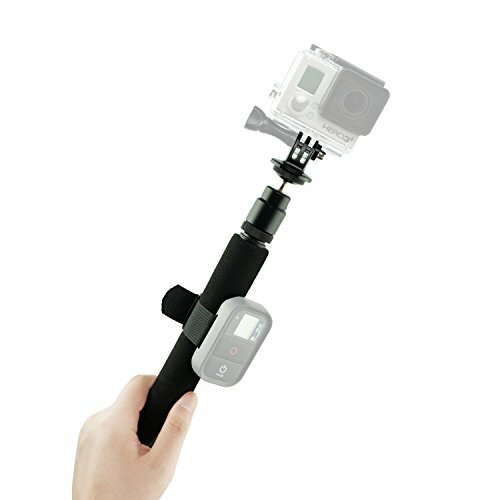 GoPro The Handler (Floating Hand Grip) is designed specifically to be used with GoPro camera. This is a standard feature. 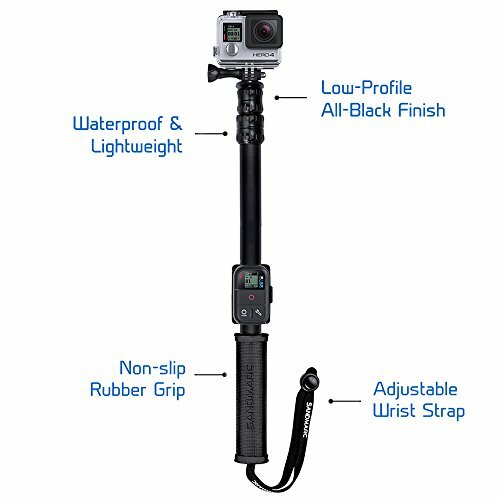 However, what sets this GoPro stick apart is the fact that it has been made from a high-quality non-slip material which gives you comfortable and secure grip so you can better aim your camera and capture any angle you want. 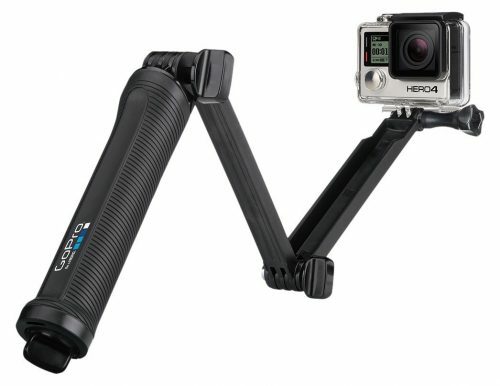 Additionally, it can float any GoPro camera plus BacPac accessories to allow you to shoot precisely in and around water. 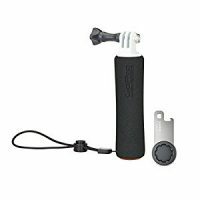 This buoyant handgrip is perfect for water sports as it can capture immersive footage while kayaking, surfing, boating or wakeboarding. It is also worth appreciating that it is waterproof up to 10m. The Alaska Life is a truly versatile stick in that it doubles up as a GoPro stick, an iPhone selfie stick, a DLSR monopod and even more. 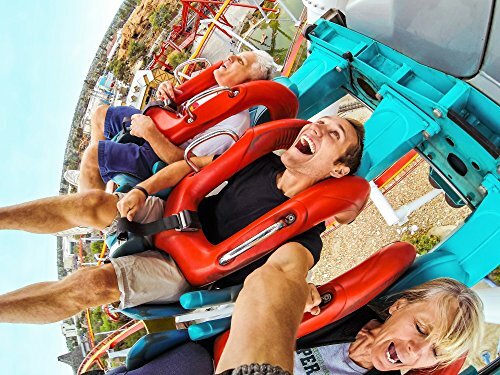 The best part is that The Alaska Life© Selfie Stick has the Thrillpro. 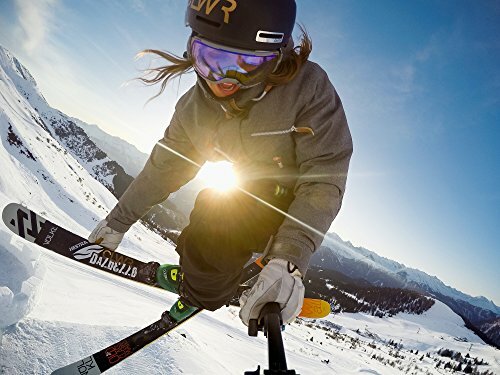 This means that iPhone, 4, 5, 6 and 6S plus many other Android smartphones are perfectly compatible along with every other version of GoPro Hero cameras. If you’re a water buff, then you’ll be thrilled to know that it is very durable and has an extension pole of 36 inches. 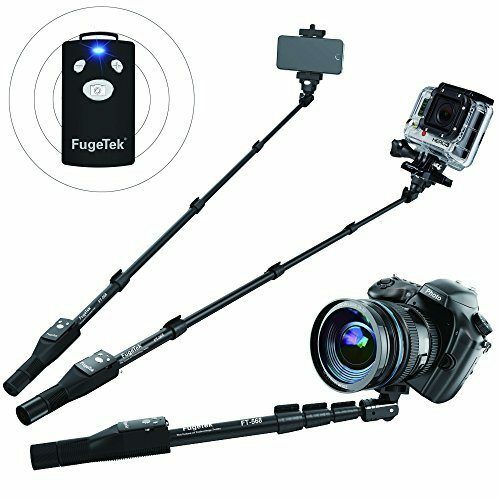 Furthermore, it is compatible with tripods and is totally waterproof (no Bluetooth or electronic parts) meaning you can go with it anywhere. 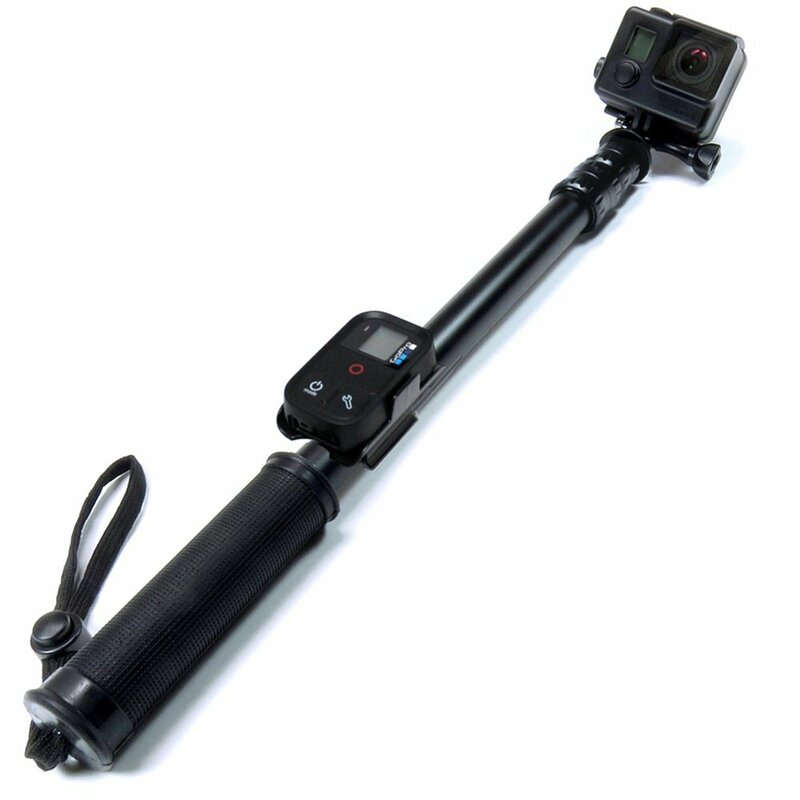 The CamKix Adjustable GoPro Stick is yet another classic addition that will enable you to get closer to the action. 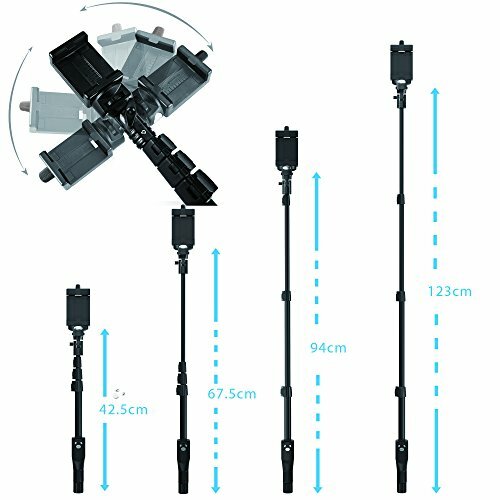 Extended from a compact 14 inch to a long 40 inch, the pole can be secured at any length using its simple twist and lock system. All you have to do is twist clockwise to lock, adjust to your favorable length then twist counter-clockwise to unlock. 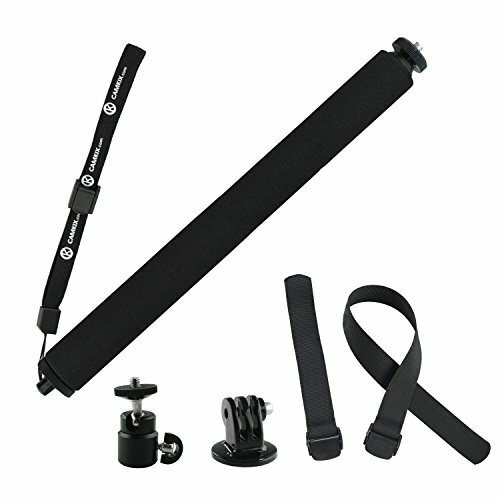 Additionally, you get two straps which enable you to connect your Wi-Fi remote comfortably to your arm or the pole itself so you can simply start and stop shooting while the pile is up in the air. It is also worth appreciating the fact that the pole is specifically designed from aluminium which makes it a breeze to carry around due to its light weight. 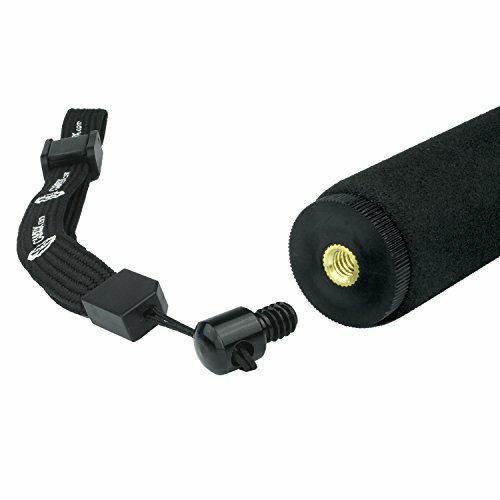 On the other hand, CamKix handle sports a soft foam coating for secure and comfortable grip. 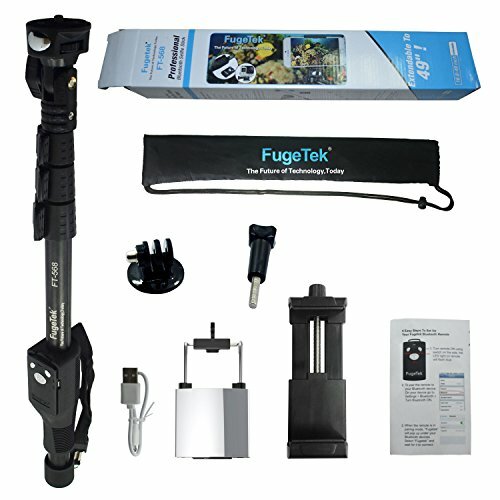 Rated as number one bestseller on Amazon, the Fugetek professional GoPro stick is designed with functionality, performance, and user-friendliness in mind. 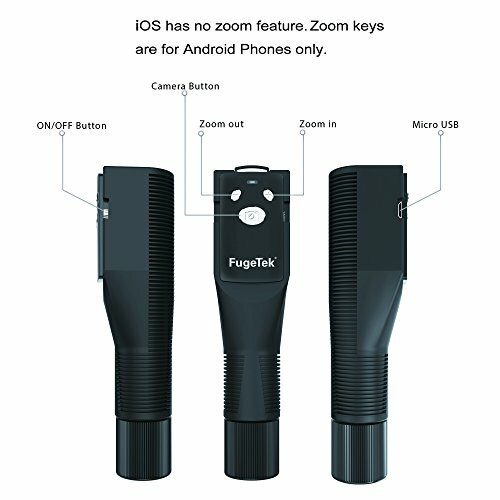 Fugetek sports a black, all luxurious aluminium design that doesn’t look or feel anything like cheap. The highly removable and adjustable mounts will guarantee you full compatibility for your phone as well as other devices. 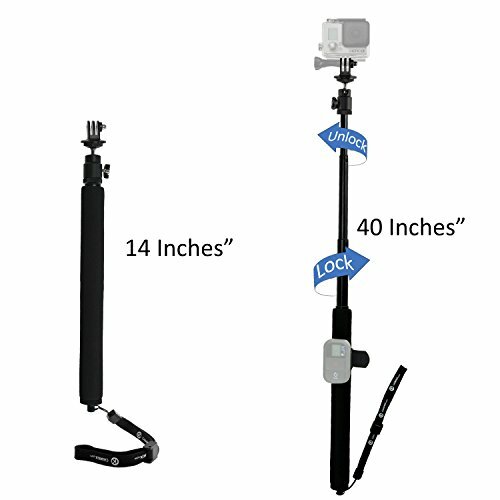 To that effect, it has two interchangeable mounts all the way from 4.2 inches to 49 inches. The fact that it can be locked securely means that you can now kiss goodbye to phone slippages and breakages. 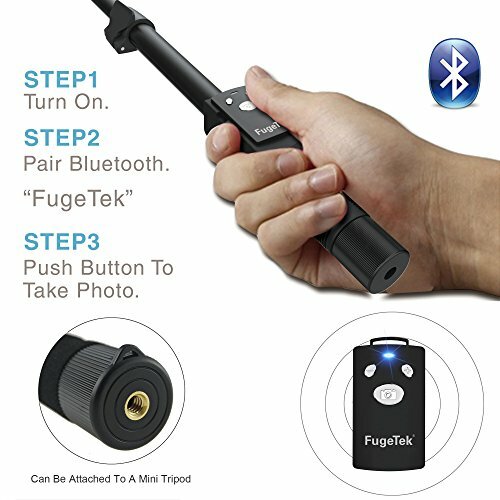 Additionally, it has a fast connecting Bluetooth remote that is compatible with all devices from iPhone, Android, GoPro and digital cameras. 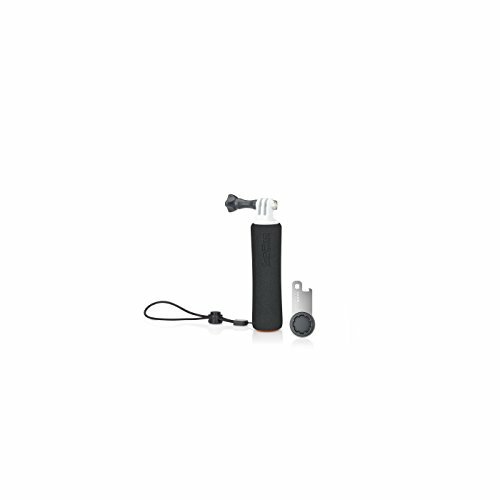 Appreciating the firmness of a solid grip for your GoPro camera cannot get better than using the Floureon GoPro stick. 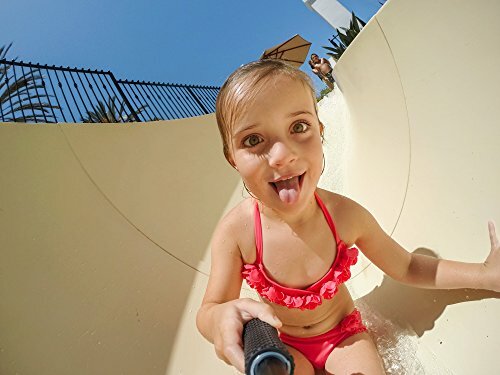 This buoyant handgrip is made from soft foam material for heightened stability and control, thus making it easy to aim the camera and make beautiful selfies with confidence. 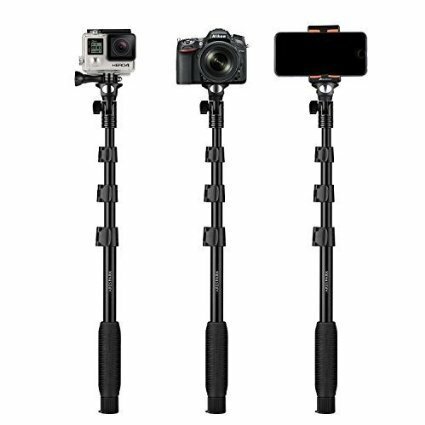 The grip boasts a tripod adapter that can comfortably accommodate any GoPro camera as well as support any direction of rotation to shoot the angles you want. 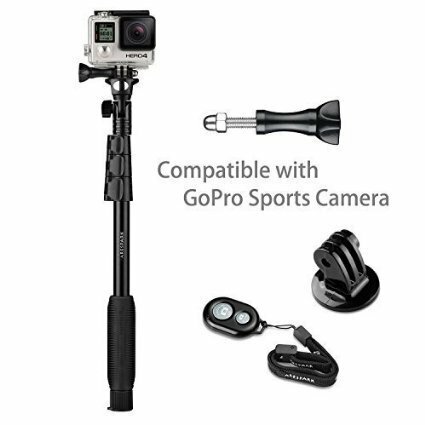 Additionally, it is entirely compatible with all GoPro versions from HD Hero 4, 3, 2 and 1 digital cameras plus most other digital cameras. Its anti-slip groove design ensures that there is zero rotation when capturing photos. 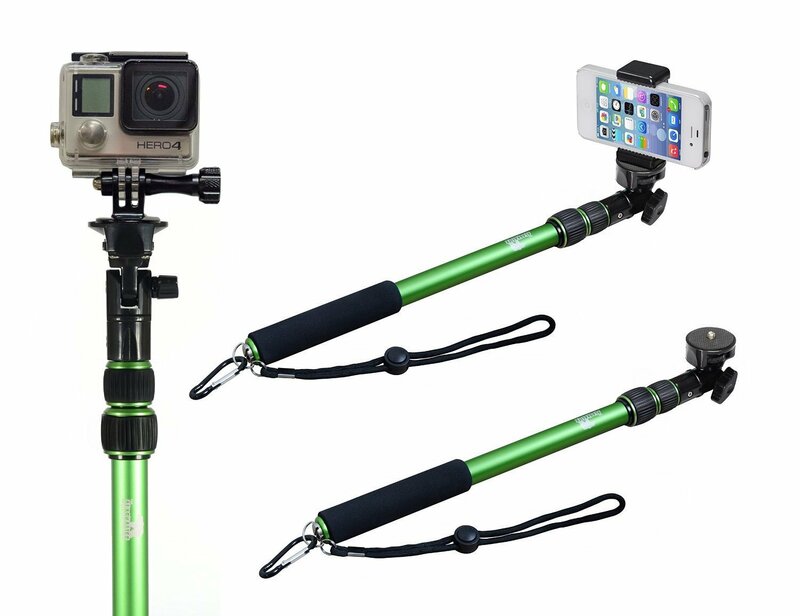 The Arespark is a truly compact aluminium selfie stick for GoPro, compact cameras, DLSR and all smartphones. 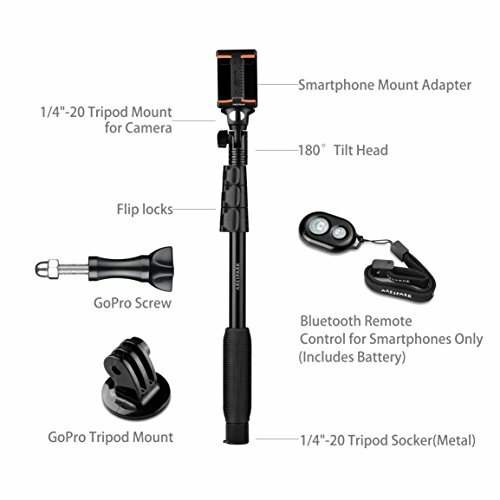 Selfie Stick, Arespark Self-portrait Monopod Wireless Bluetooth Selfie Stick With Adjustable Phone Holder is crammed with so many amazing features; you can hardly resist it. 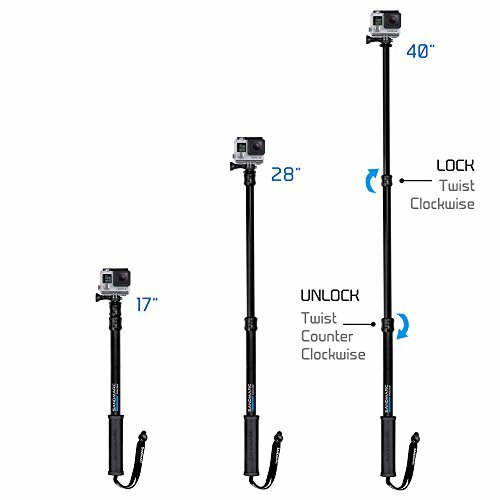 First, it can extend from 16 inches all the way to 50 inches — it’s the longest GoPro stick you’ll ever come across as it enables you to view a vast back sight. 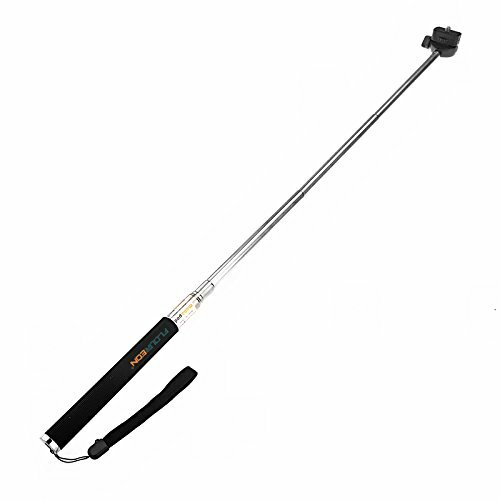 Its 180 degrees rotating angle allows you to to get the right angles for the perfect selfie capture. 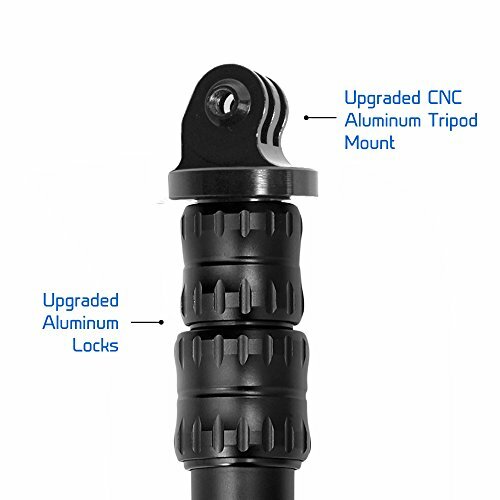 With regards to safety, it has three great clamps on the monopod to ensure it doesn’t fall off without warning. 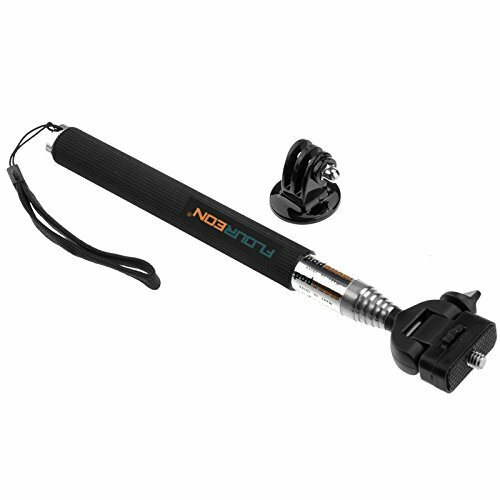 Its grooved monopod enhances stability while the grip on top of the monopod increases handle firmness. It is also worth noting that it has a built-in wrist strap which prevents it from falling. Moreover, the Bluetooth remote control is separate and not integrated to ensure that it can be used underwater. Bubble Machine Reviews — Which One Is Really the Best of 2017? 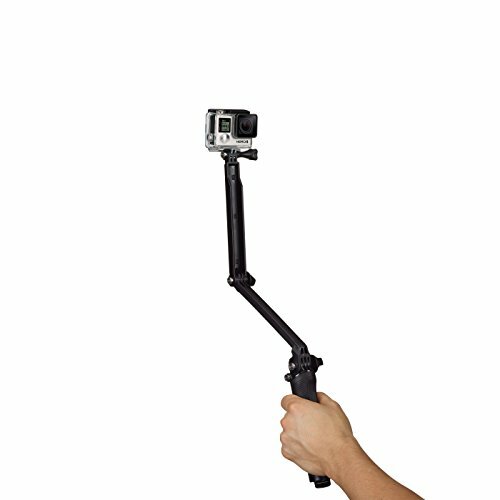 The GoPro 3 Way is an ultra-versatile stick that can be used in three main ways — like a tripod, as a camera grip, and as an extension. It has a folding arm which is perfect for follow-cam or POV footage and makes it very easy to capture selfies. 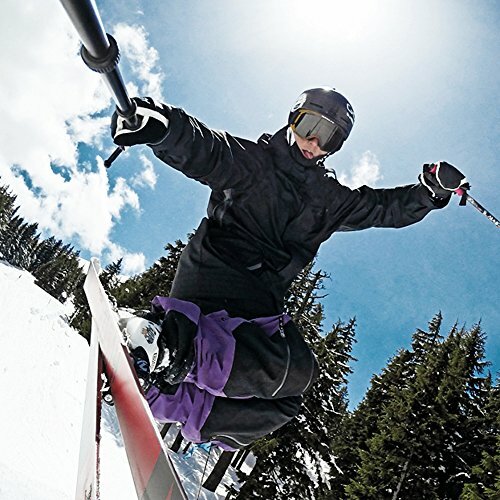 Unlike other mounts where the GoPro stick is seen in the selfie, the GoPro 3 way doesn’t thanks to its foldable arm. The handle acts as a camera grip as soon as the arm is detached from the mount. 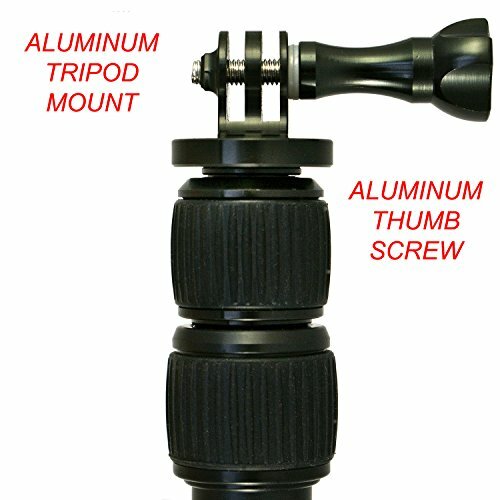 Additionally, there is a mini tripod inside the handle that can be removed and used on its own or combined with the handle. 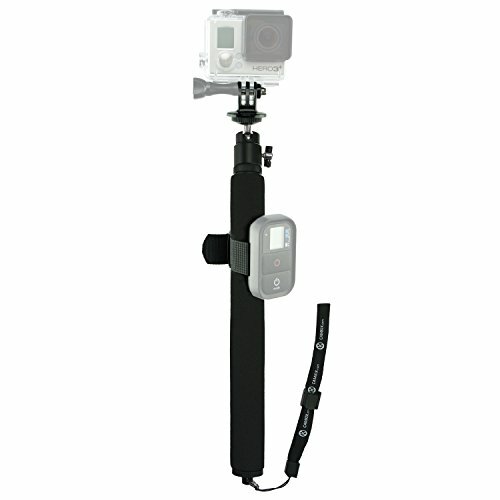 It can be adjusted from 19cm to 50.8 cm and is fully compatible with all GoPro cameras. 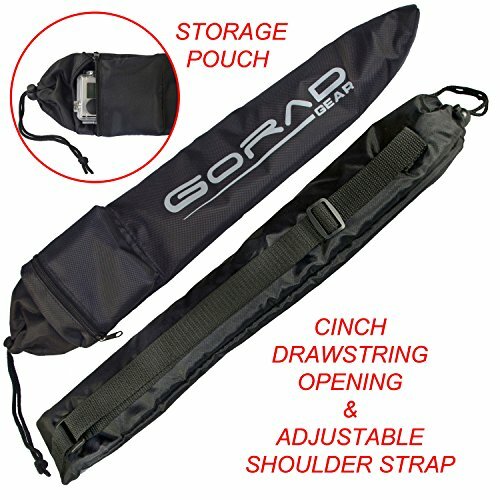 The GoRad Gear GoPro Stick is one of the most sought after devices thanks to its superior design and amazing features. It is an extension pole that boasts of a CNC aluminium thumbscrew and aluminium compatible tripod mount that connects to GoPro Hero 4, 3, 2 and 1 cameras for perfect shots. 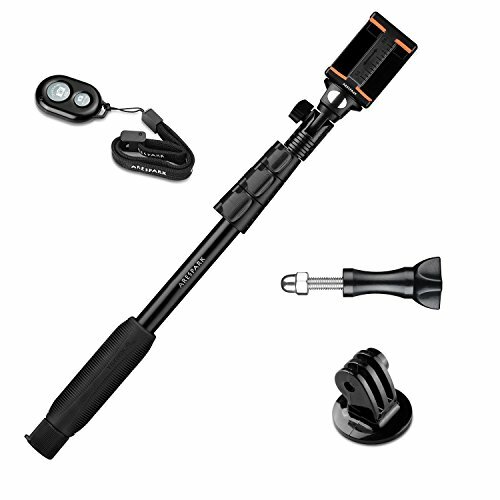 It has a twist locking system and an adjustable pole from 17 inches all the way to 40 inches. This means that it can also be used as a camera grip when it is folded, as a pope Mount for POV footage and as a follow-cam when fully extended. 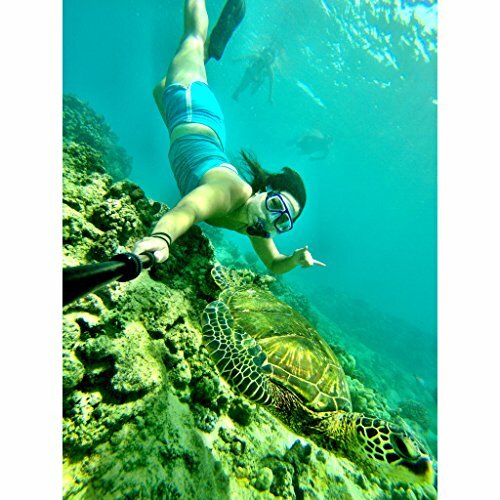 It is worth appreciating that it is specially made from waterproof materials making it an ideal partner for outdoor activities and underwater adventures. 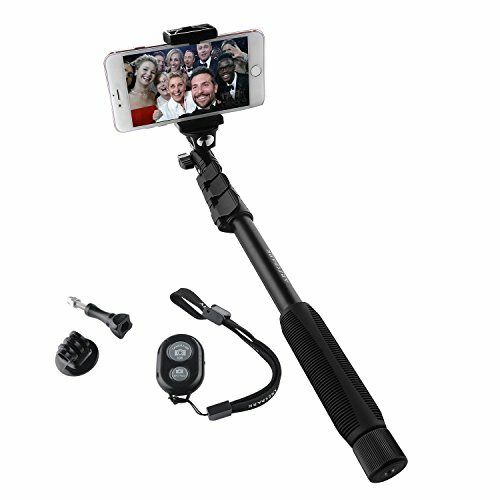 Additionally, it comes with an extra nylon carry bag with zippered compartment, adjustable shoulder strap and cinch-cord opening for you to keep your selfie stick safe and take it wherever you go. 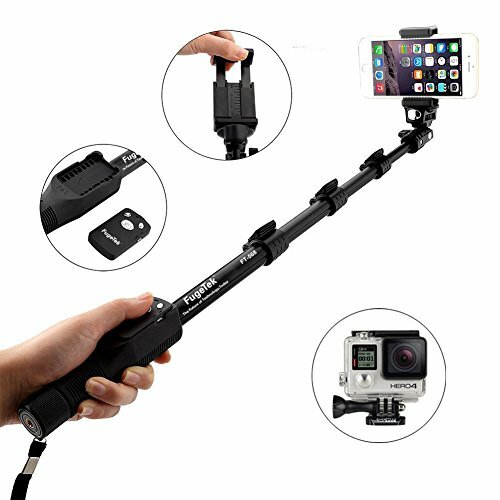 The Extending GoPro Stick is perfect for use with digital cameras, GoPro cameras, and most smartphones. It is specially made with lightweight aluminium for easy mobility when in use. Its handle is made from soft foam to ensure that it is non-slip thus giving you a comfortable touch. 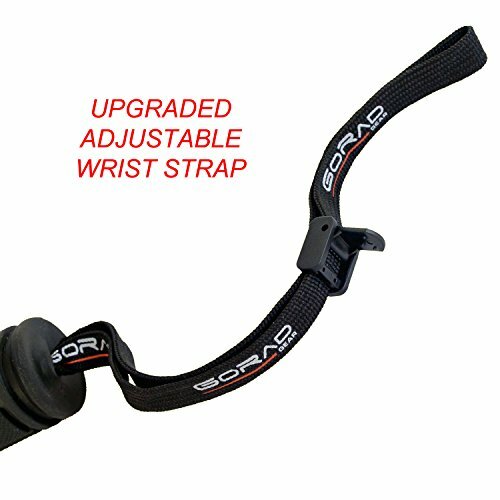 Additionally, it has a waterway wrist which can be safely attached to your wrist to prevent slippages and breakages. It is adjustable from 13.9 inches to a maximum height of 33.6 inches when there are no obstructions to give you a broad angle for capture. 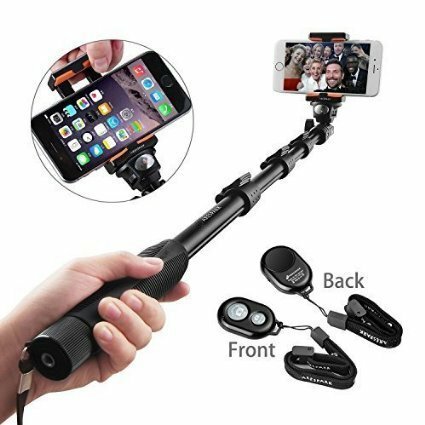 Its camera holder can also be rotated 180 degrees to control the viewing angle and allow you to capture shots at the angles you want. 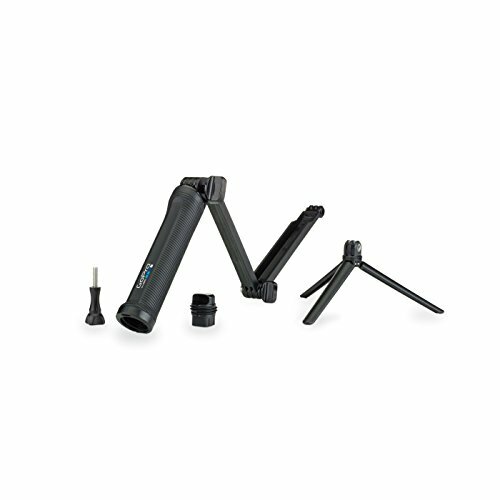 The tripod mount is meant for the GoPro while the cell phone clip is meant for mobile capture. 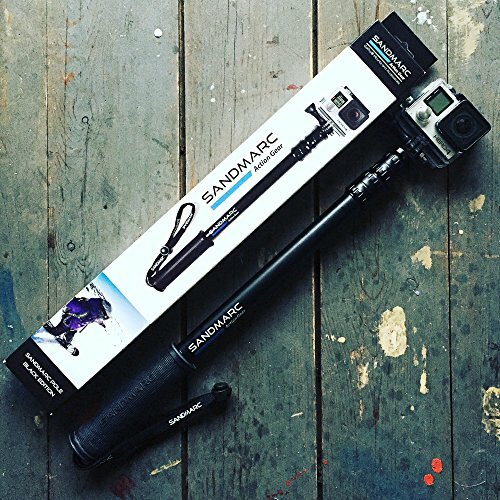 The Sandmarc Pole is another GoPro stick that meets with rave reviews thanks to its sleek all black aluminium design. It is specially made from waterproof materials, a rubber grip and an adjustable wrist strap to withstand the most extreme of conditions. 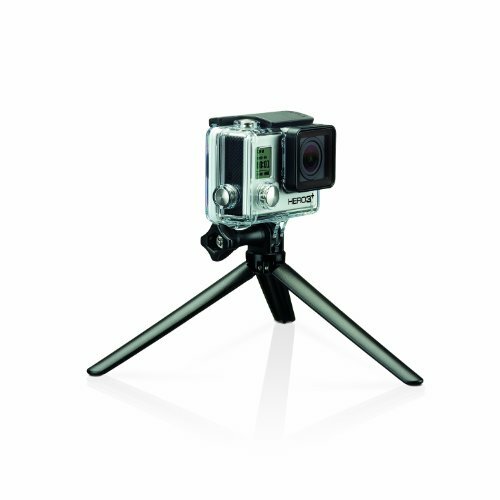 With its new aluminium tripod mount, you can rest assured of extra durability and stability of your GoPro shots. 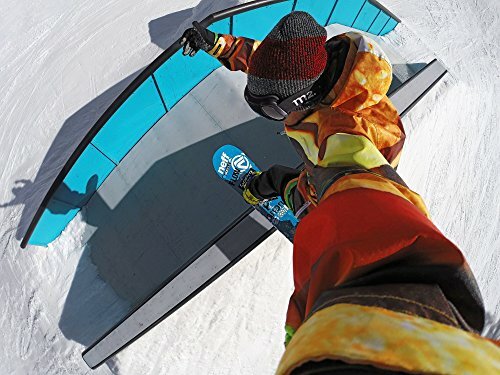 Extending from just 17 inches all the way to 40 inches, you can take close and wide shots while snowboarding, skiing, diving, surfing or skateboarding. 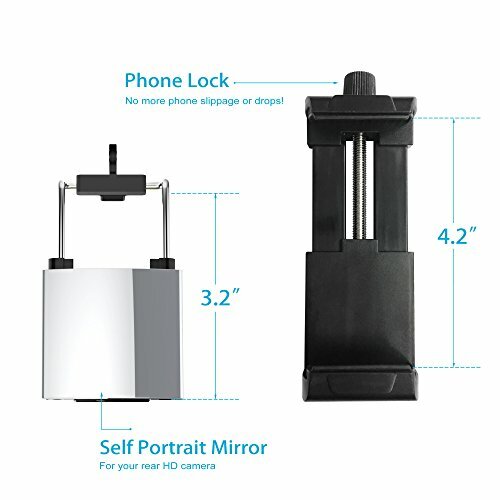 It comes with a detachable mount that allows you to use the pole with a wide range of devices as well as a remote holder clip for safe mounting. 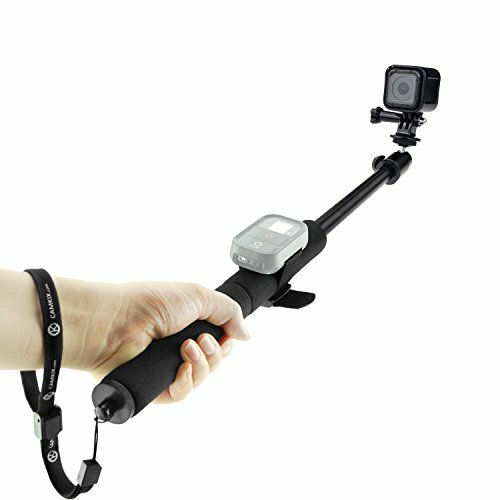 Mount Capacity: Before buying a GoPro stick, you must have an idea of the device you’ll be attaching to it so that you can be sure the clamps of the selfie stick are just the right size and weight. 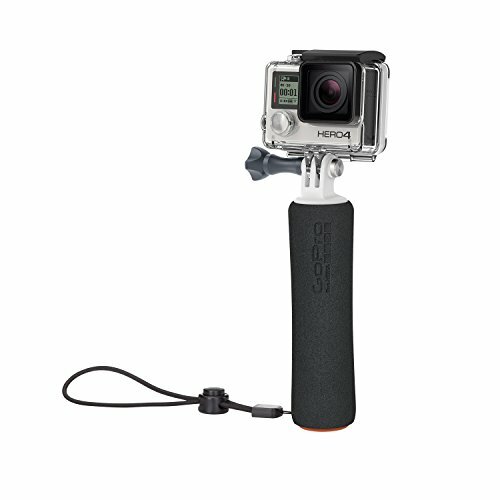 Durability: High-quality material such as steel and aluminium will make your GoPro stick last longer and guarantee resilience even when it falls or gets scratched. 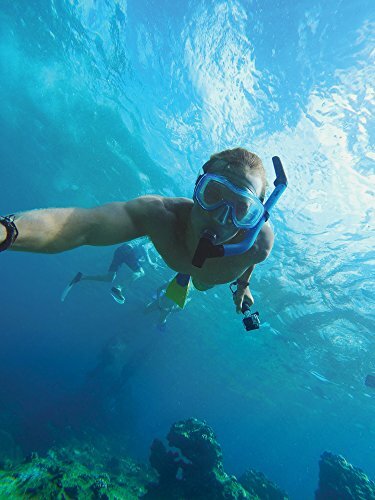 Waterproof: The only way to ensure you get the freedom to use your GoPro stick is to have it at full capacity. This means it should be usable both inside and outside water. 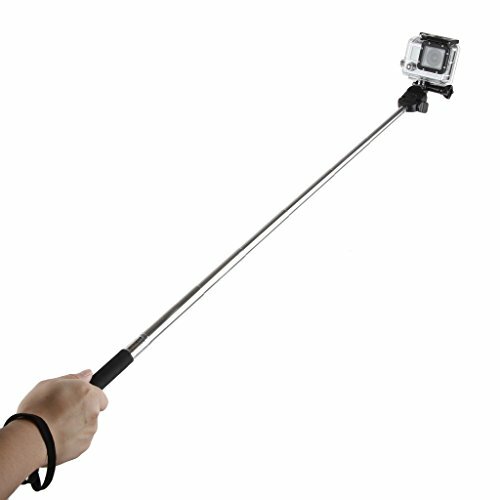 Extendable Length: The main reason behind buying a selfie stick is to have the flexibility of taking both short and long shots. That is why, the more extendable your GoPro stick is, the better. 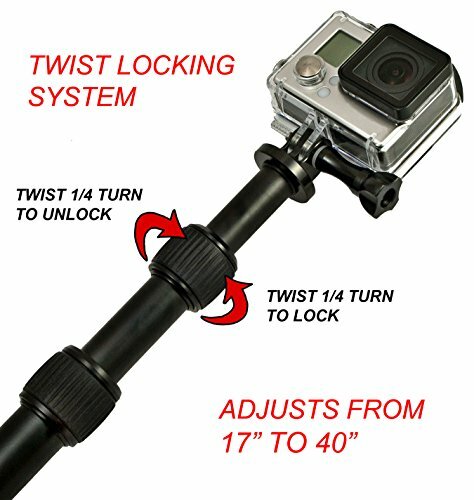 Lifetime Guarantee: To eliminate the risk of unknown manufacturing defects, it is always advisable to buy a GoPro stick that gives you a lifetime guarantee, meaning it can be returned anytime when you need a fix. Our review identified GoPro the Handler as the best GoPro stick in this category. It has everything one could wish for: from being made with high-quality, durable materials to having an impressive extendable length and waterproof capability; it is truly unbeatable. Additionally, its price is fair, and it boasts exceptional reviews on Amazon, with a rating of 4.5 from over 10, 000 loyal customers. You can never go wrong with it. Everyone loves what you guys are up too. This kind of clever work and reporting! Keep up the fantastic works guys I’ve you guys to my own blogroll.